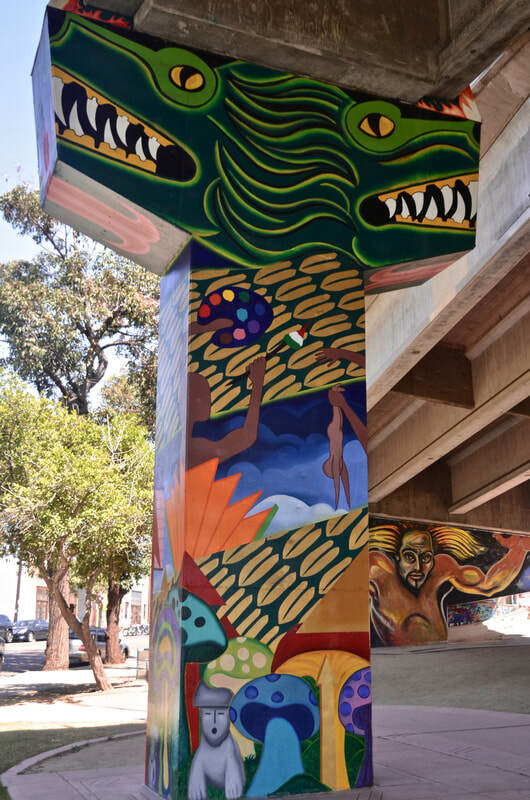 Their canvasses are not made of cloth and they often take the shape of a the letter T. They are gigantic murals painted on cement overpass support columns, but they are works of art just the same. 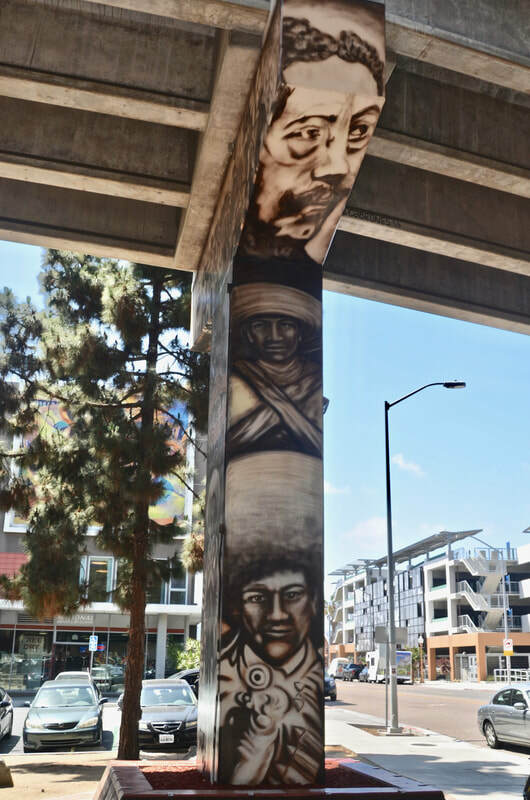 And they tell the story of the Mexican-American experience! 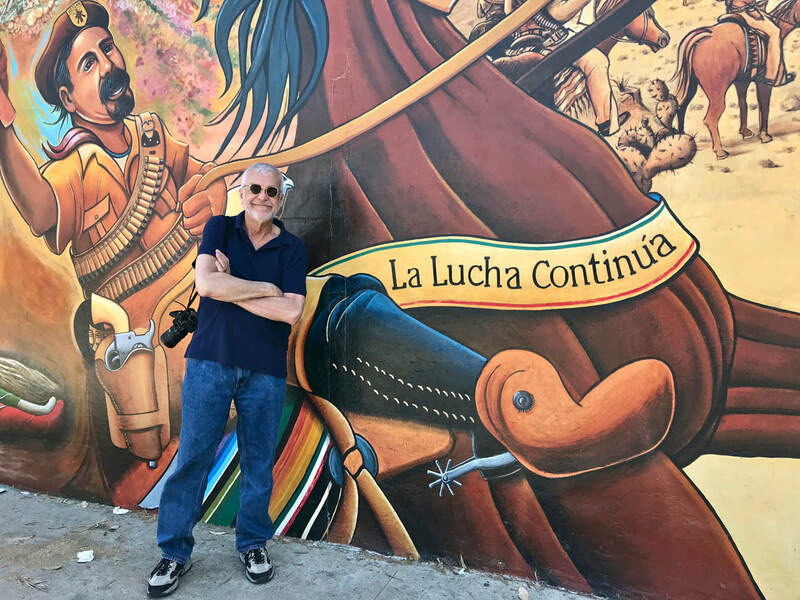 And yet others make it very clear that "La Lucha Continúa" - The Struggle Continues. 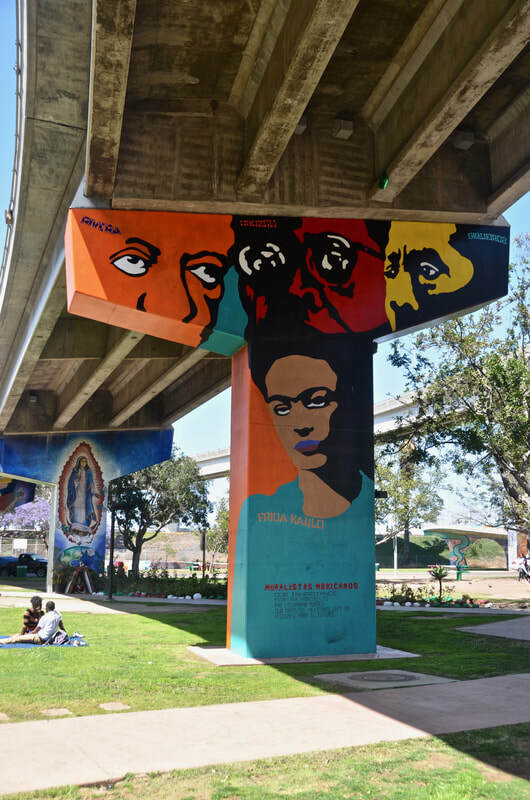 The Great Hispanic American History Tour has arrived at Chicano Park, a 7.9-acre outdoor art gallery built under a huge intersection of San Diego highways. 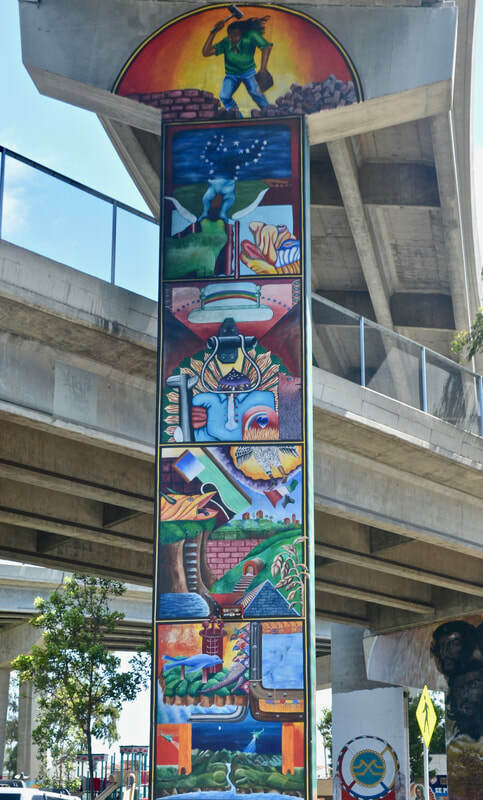 It's one of the country's largest collections of outdoor murals. 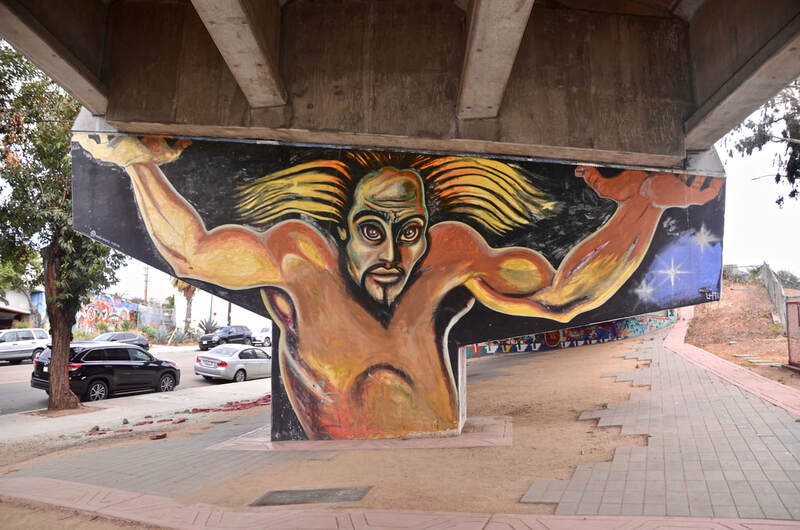 But Chicano Park is much more than that! 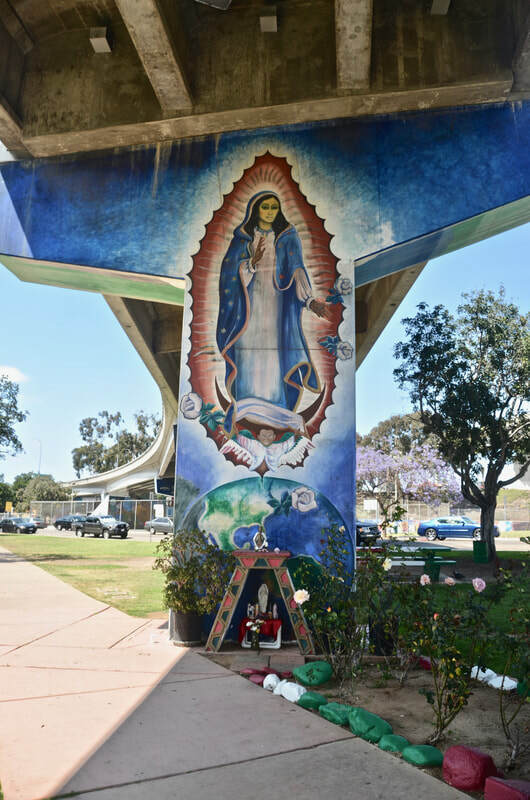 It's the heart and soul of the Mexican-American community in Logan Heights, or "Barrio Logan" - just south of downtown San Diego under the San Diego-Coronado bridge. 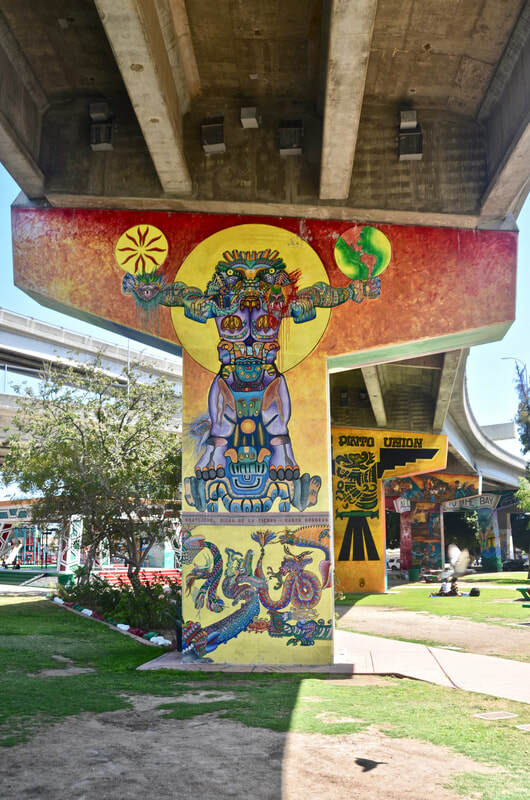 Since it was established in 1970, Chicano Park has become the gathering place for all sorts of major events - from demonstrations to celebrations! 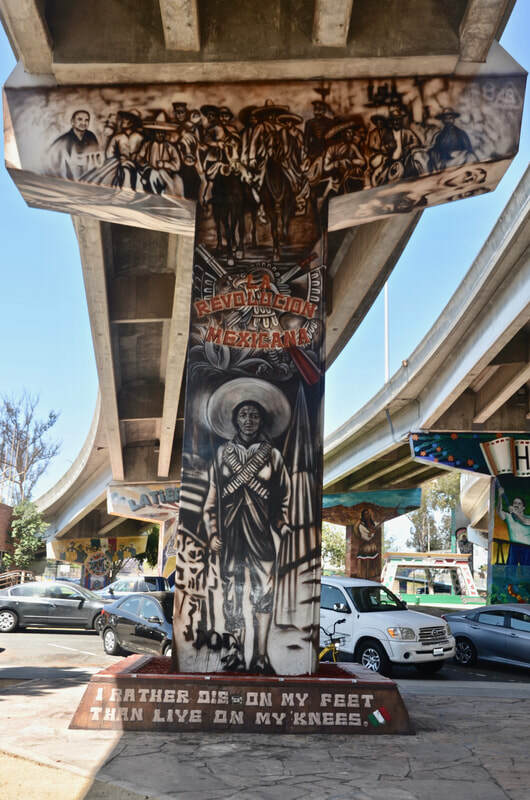 Some historia: In the mid-1960’s when the state built a huge highway (I-5) that cut Barrio Logan in half, and displaced thousands of Mexican Americans who lived here, the state started to build a Highway Patrol station under the highway, between the huge concrete pillars where Chicano families had lived all their lives. 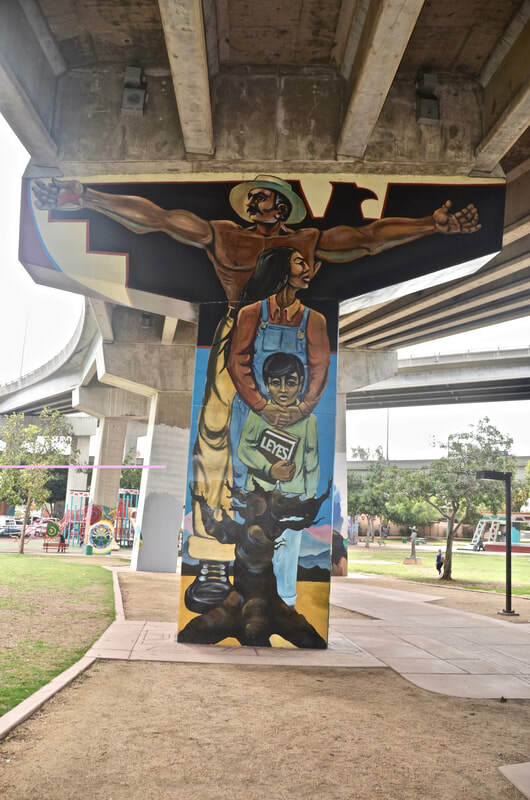 But this was at the height of the Chicano Movement, a time when Mexican Americans were fighting to attain their rights. 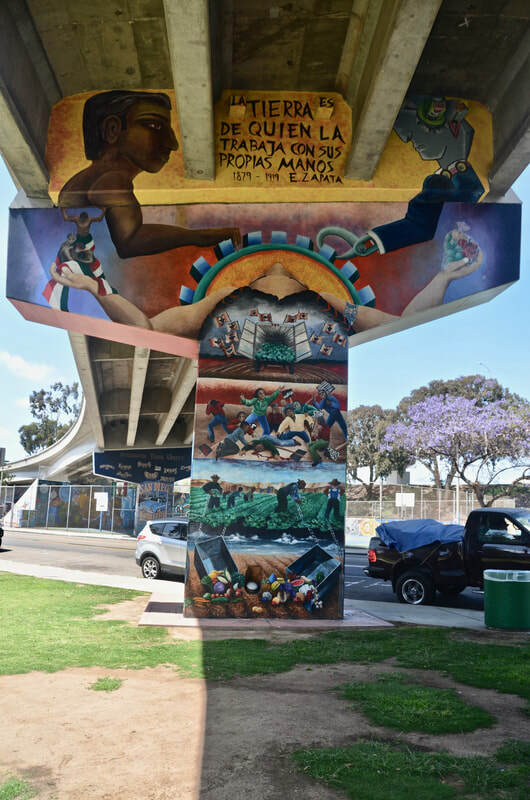 And so Chicano students and community activists organized a non-violent takeover. Dozens of men, women and children confronted a few workers with bulldozers, created human chains around them, and stopped the construction. But they didn’t stop there. They occupied the area for 12 days, while they planted flowers and trees and began to build their own park! 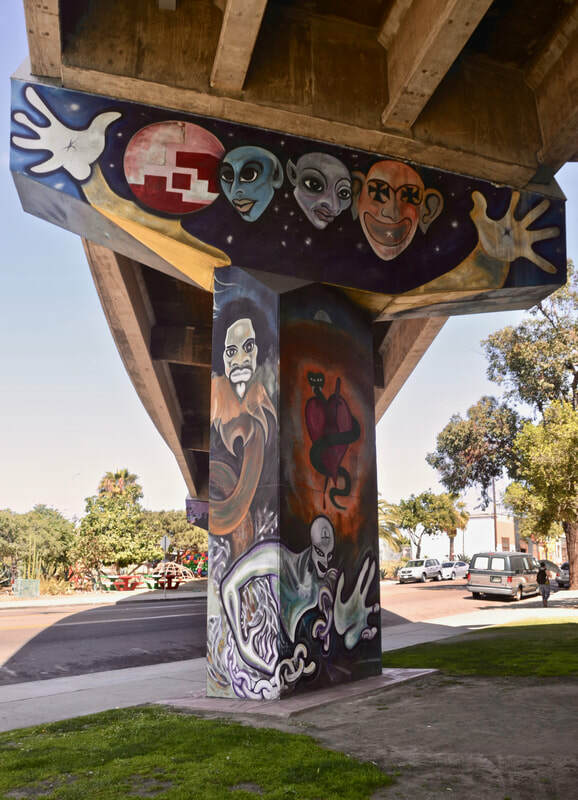 As a result, the city agreed to acquire the land from the state, to create a community park in which Chicano culture could be expressed through art. It was a huge victory. 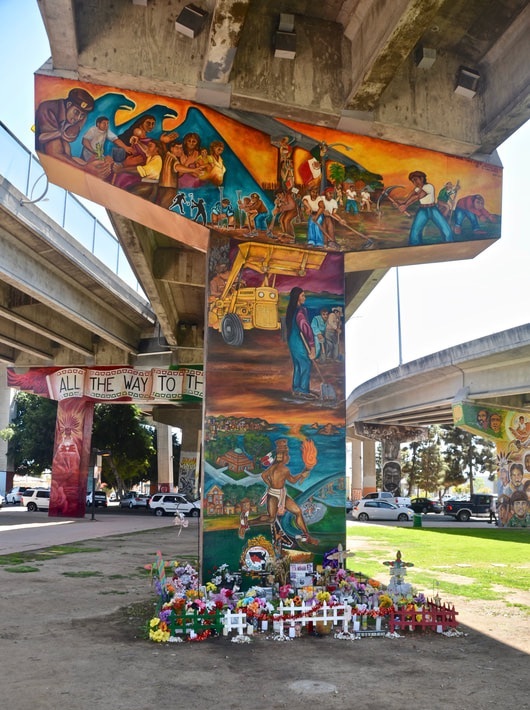 But because the Chicano community had to fight for it, "Chicano Park - La Tierra Mia - Our Land" became a symbol of their right to self-determination. 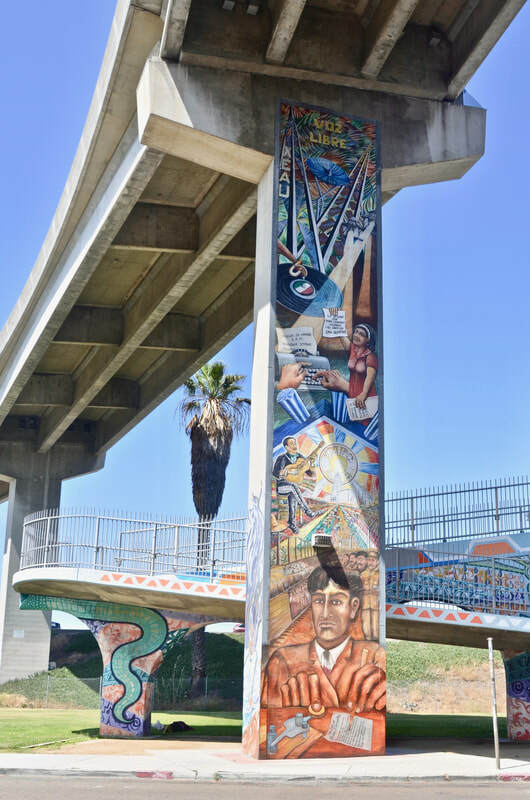 "The Park is where our history is enshrined in monumental murals," according to the park's website. 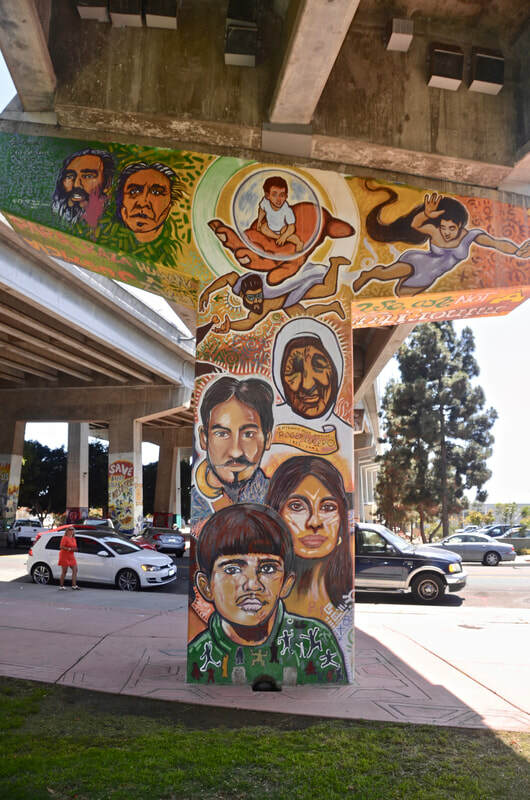 "It is where we keep making history as we fight to preserve and defend a small piece of Aztlán known as Chicano Park in Barrio Logan, San Diego." 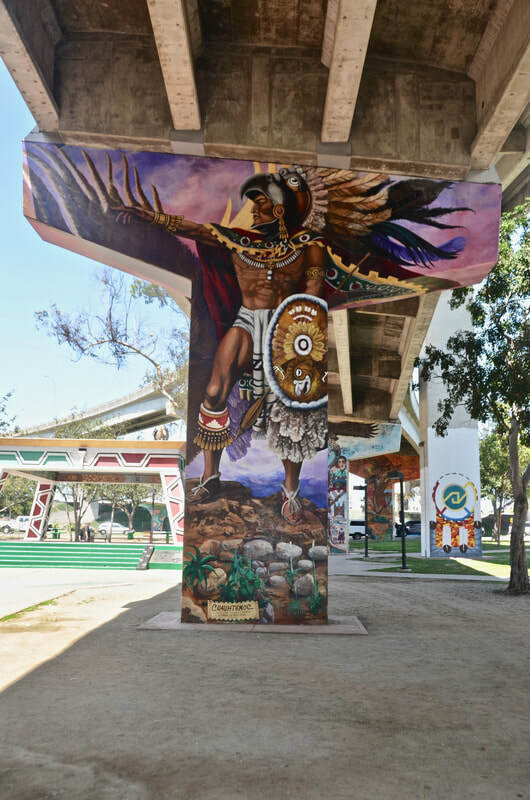 The site also notes that, "By claiming Chicano Park, the descendants of the Aztecs the Chicano Mexicano people begin a project of historical reclamation. 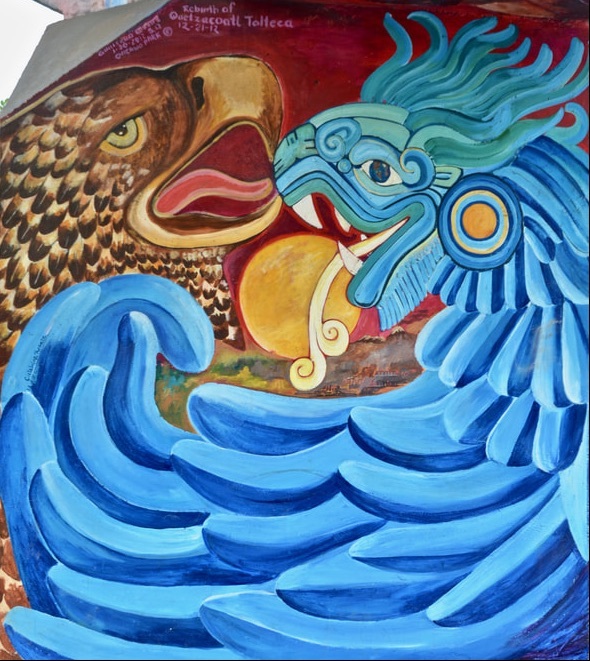 We have returned to Aztlán - our home." 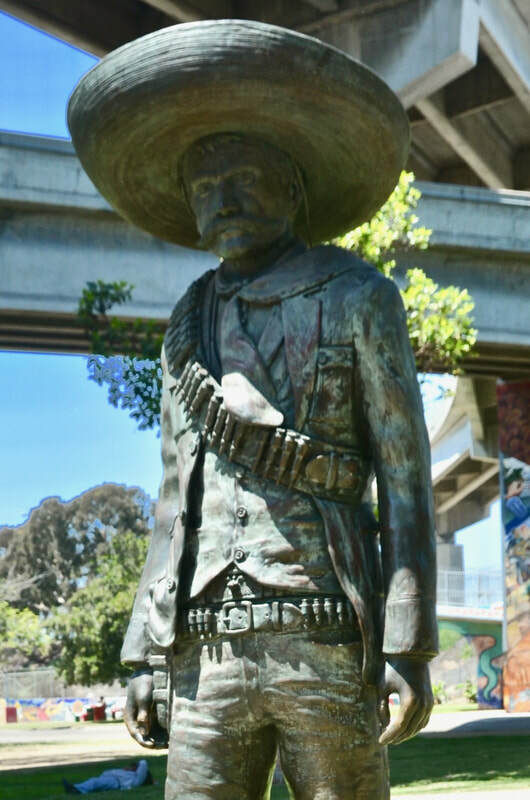 Yet, because they call the park "El Corazon the Aztlán," because they express a romantic, idealistic, and purely symbolic wish to return to the ancestral home of the Aztec peoples, there are some wacko, racist, anti-Mexican extremists who take it all very seriously, and use it as an excuse to attack Mexicans Americans. One of them devoted an entire Facebook page to opposing the park, and trying to make it seem as if the place where I saw art and history on display, where I saw families gathered and children playing, is somehow a center for leftist, anti-American activity. It's bull crap. This is purely a hatred page, devoted to attacking Mexican culture. I don't know why Facebook allows it, but it is part of what I found while researching this destination. 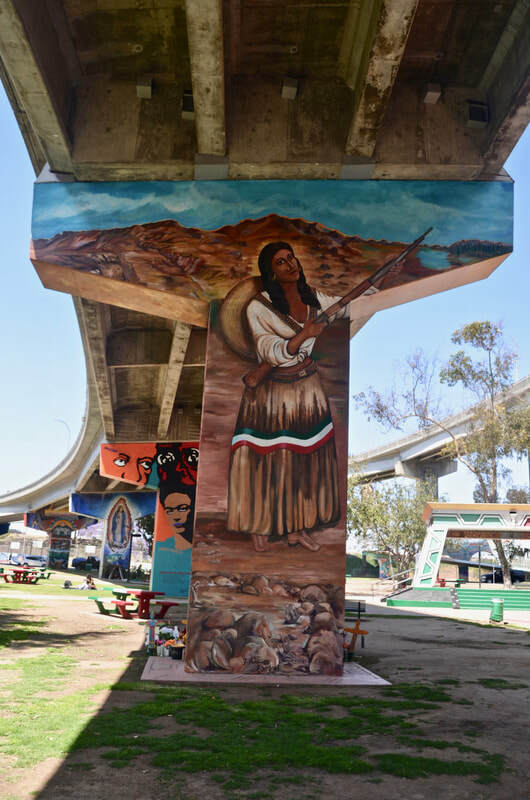 In February, an alt-right group claiming that the park discriminates against non-Hispanics held a "Patriotic Picnic," which was nothing more than an anti-immigrant demonstration and provocation in the heart of the Mexican American community. 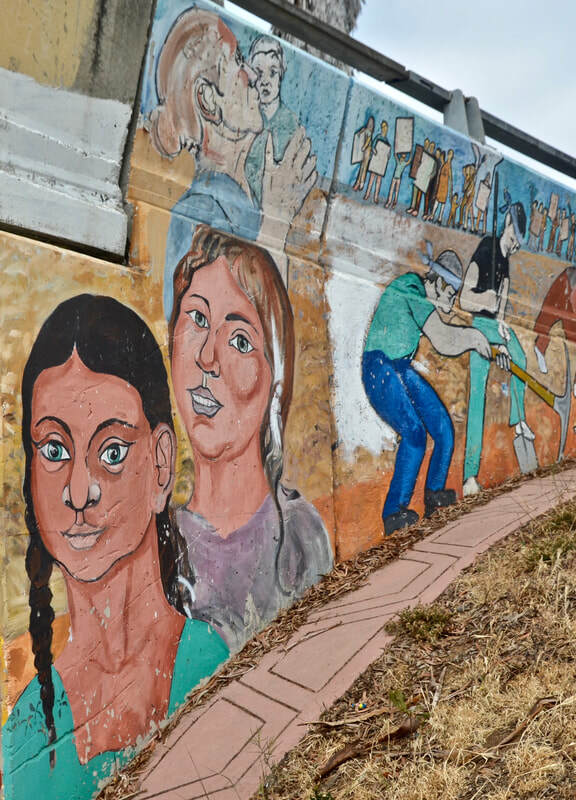 When shouting "build that wall," they were confronted by a much larger crowd of area residents, and apparently, they lost the shouting matches and a couple of fistfights. 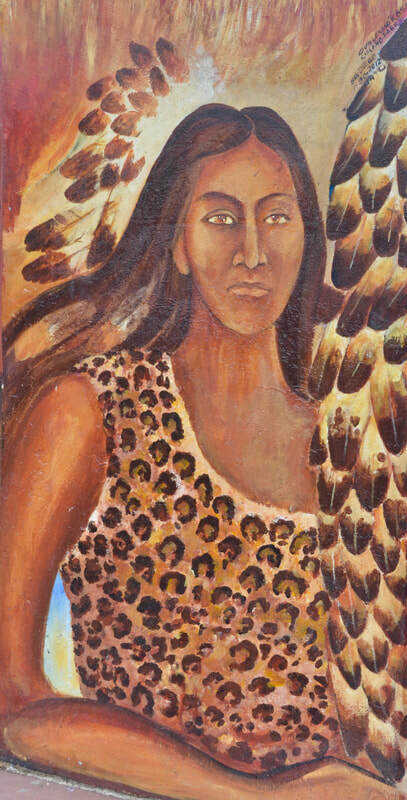 When you come here, give yourself time to examine numerous astonishing murals - restored in 2012 - and to interpret the many messages they convey. 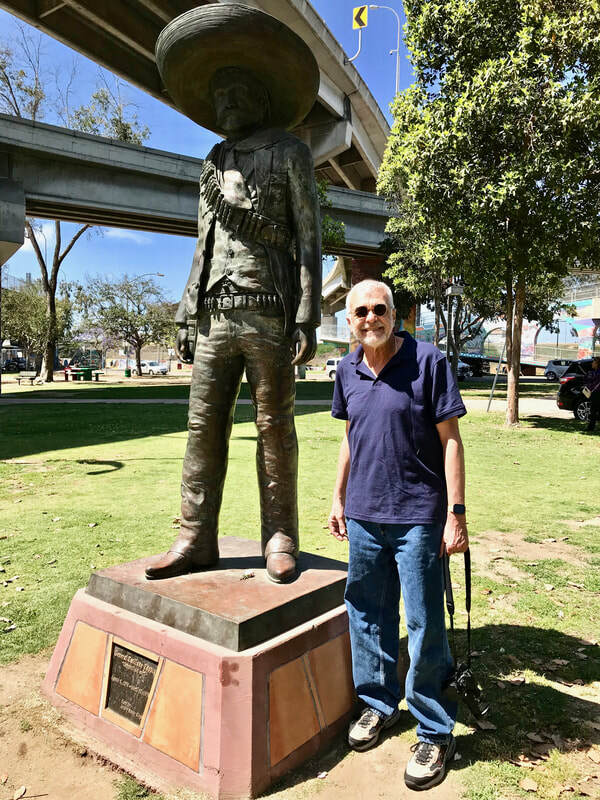 I promise: You will not turn into a commie, and you will learn some Mexican-American history. 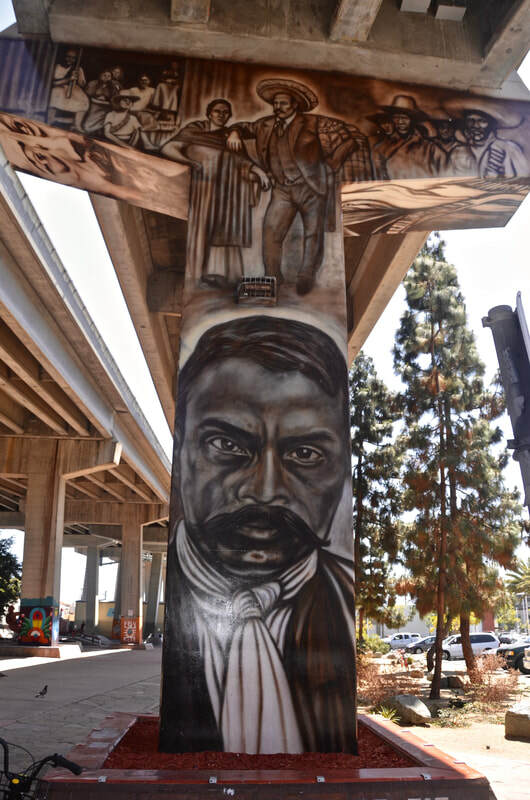 Here you will find an impressive statue of Mexican Revolution hero Emiliano Zapata, and the murals that feature at least a couple of his famous quotes: "La tierra es de quien la trabaja" (The land belongs to its workers) and "Mejor morir de pie que vivir arrodillado" (I rather die on my feet than live on my knees). 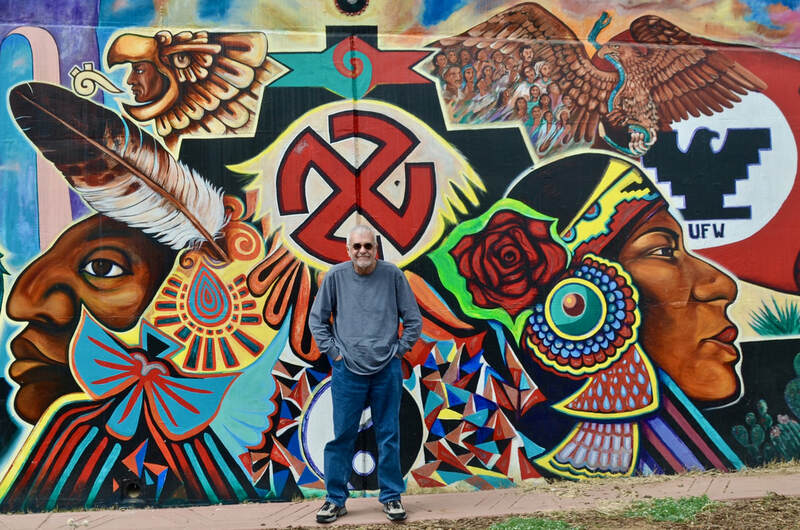 The park, its mural artists, and the community volunteers who keep it all vibrant have received much well-deserved recognition in the past 48 years. 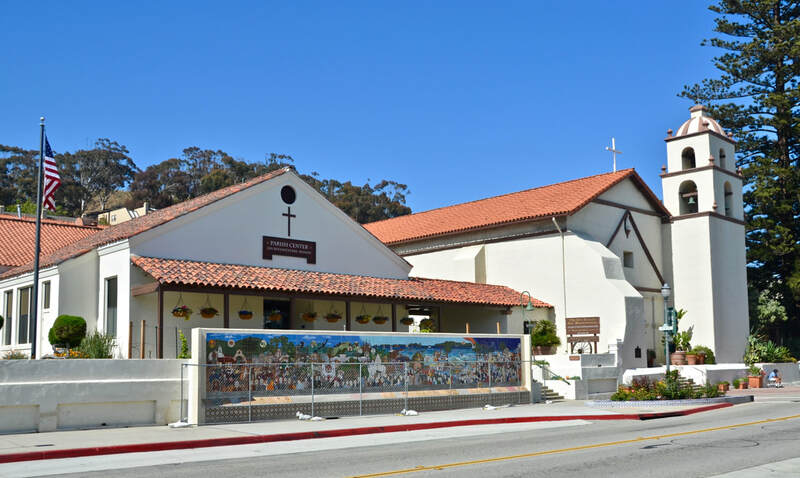 This amazing place has been recognized as a historic landmark by the city, the state and the nation. 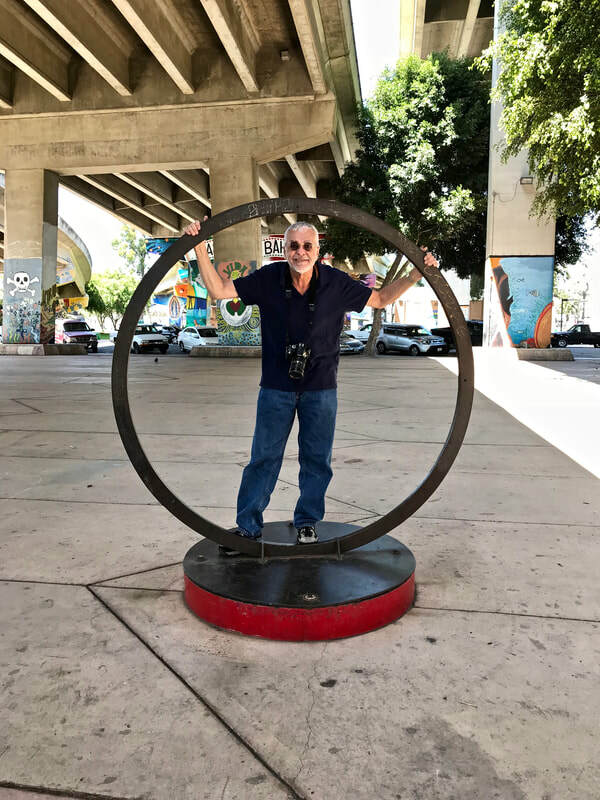 I'm glad I visited the heart of Aztlán. 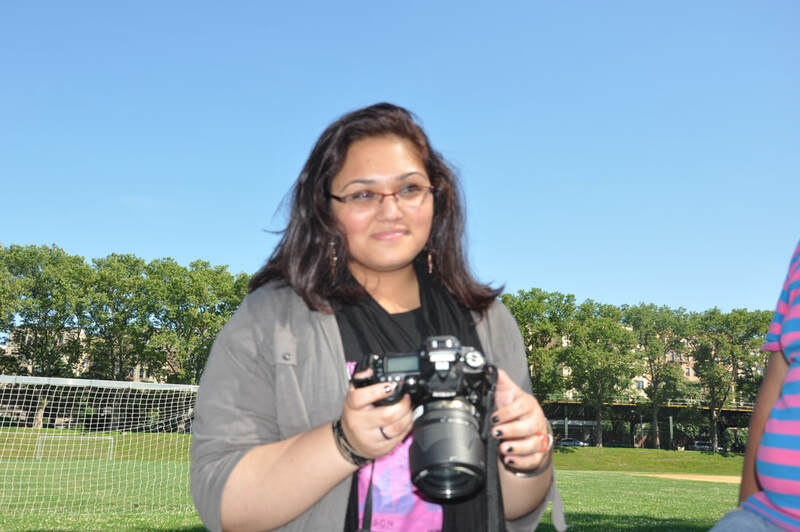 To enlarge any photo . . .
. . . click on them! 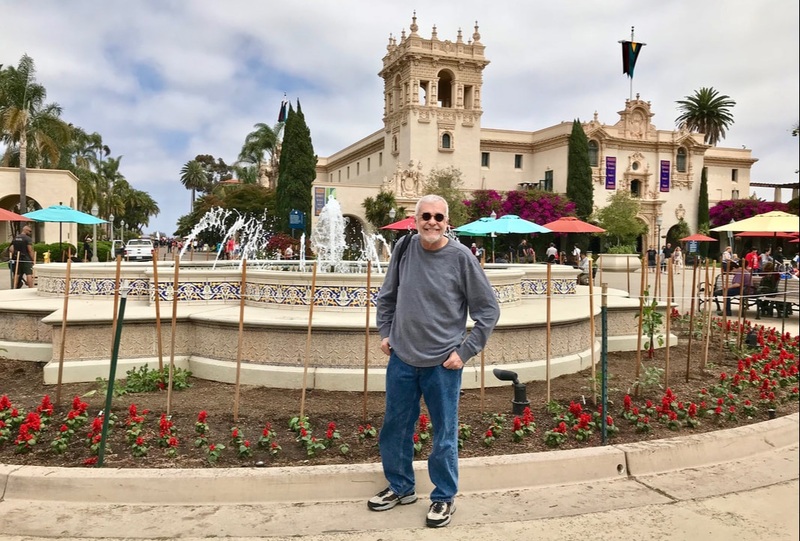 stop at another park in San Diego, a totally different and yet equally beautiful park. Amazingly, we'll also walk into a totally different and equally painful controversy. 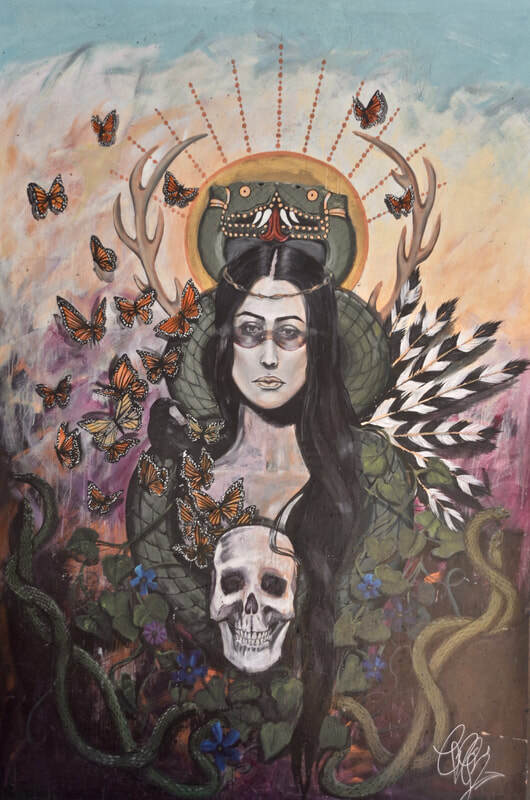 ​We'll go from Aztlán to Europe in just a very short drive!